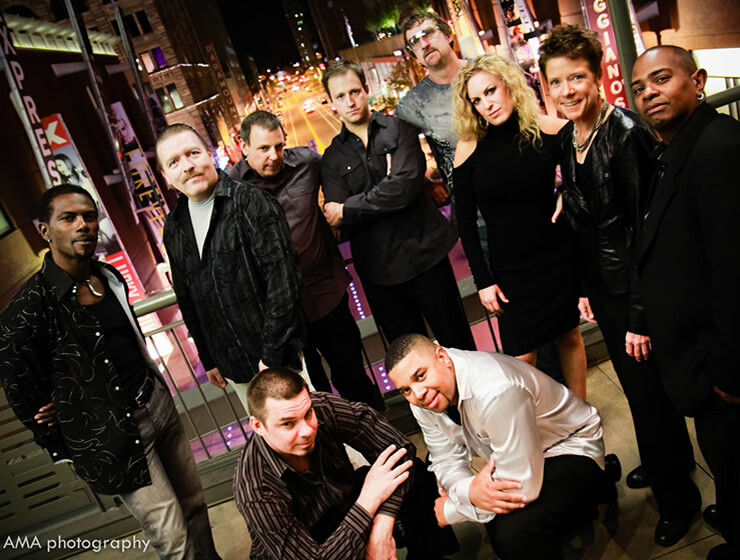 Soul X is a sought after 10-Piece dance-wedding dance band and has all of your wedding and corporate entertainment covered. Based in Denver, CO they can play a wide array of wonderful cocktail music, as well as supply some beautiful dinner entertainment for all occasions. When it’s time to switch to high gear, this premiere dance band turns an ordinary party into an extraordinary shindig. This high-energy Colorado dance & wedding dance band and show band consists of a full rhythm section, three dynamic front singers that are also recording artists, a saxophone, trumpet, and a hip hop /classical violin player that makes this band unlike any other. Soul X dance band is perfect for wedding entertainment, corporate entertainment, social functions, fundraisers, and festivals. This non-stop dance band has entertained guests from the NFL Super Bowl in Phoenix and the Democratic National Convention in Denver to countless Fortune 500 hundred companies and hundreds of Wedding clients. Soul X wedding dance band can play all styles of music including: Motown, Disco, Rock, Swing, Top 40, Latin, Country and Reggae. For the best wedding dance band or corporate band in the country look no further for amazing event entertainment!